Mix together zucchini, cheese, cottage cheese, garlic onion salt and pepper. Stuff into pocket of chicken. 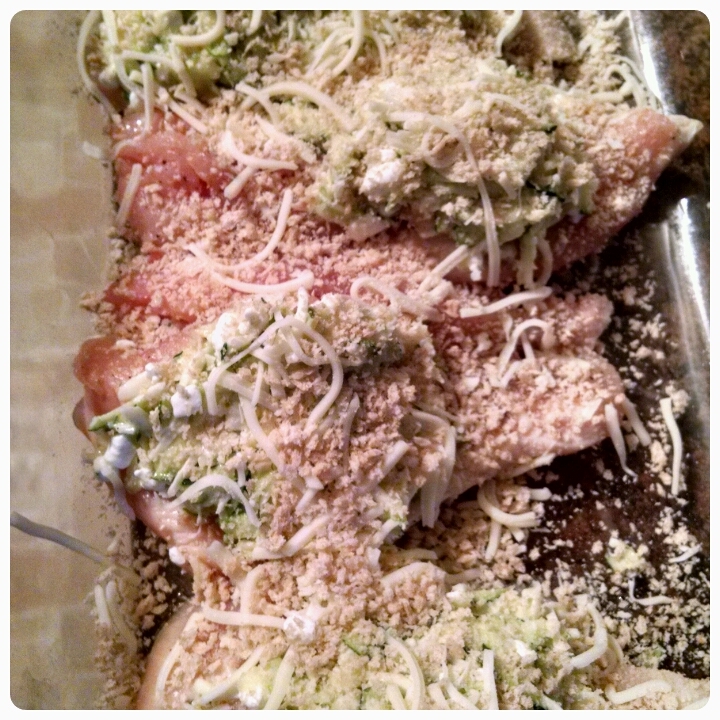 Sprinkle with panko and a Lil more salt and pepper. Preheat over for 425 and bake for 45 min. 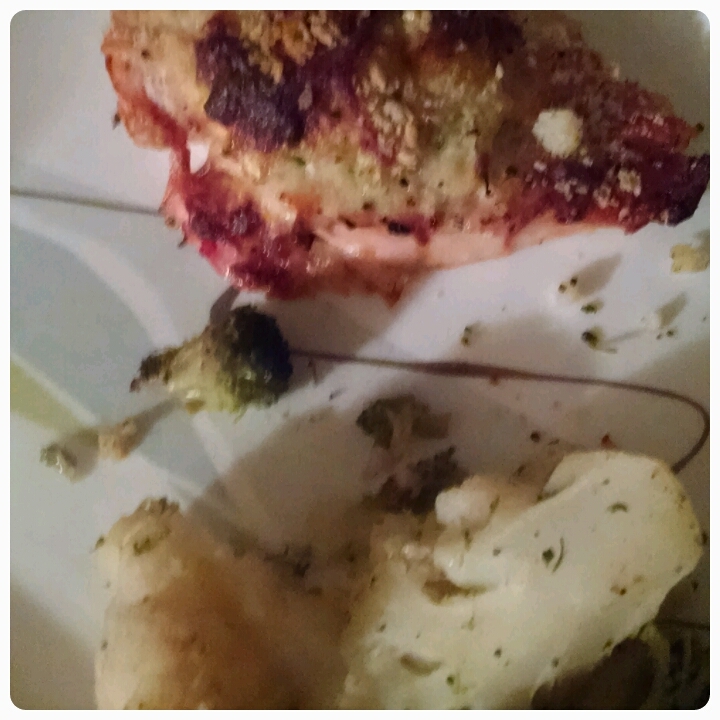 This entry was posted in food and tagged chicken, clean eating, eat clean, eat healthy, zuchinni by kalarw. Bookmark the permalink.